Transfer money from a UK bank account to Permanent tsb in Ireland and attain the very best UK pound to euro currency exchange rates. The best alternatives for sending funds from the UK to a Permanent tsb bank account in Ireland, a currency broker will save you time and money on the transaction. Permanent tsb is an Irish bank that offers a range of quality banking services including online banking, savings & deposit accounts and mortgages to Irish and overseas private and business customers. Permanent TSB Group Holdings PLC (formerly Irish Life and Permanent) was bought out by Ireland’s government and renamed Permanent TSB Group and received an injection of 2.7 billion euro of capital by the Irish government, bringing the bank into majority state ownership. The Group has over one million customers in Ireland. International transfer requests may be submitted by fax as long as you have signed a request at your local Permanent tsb branch. 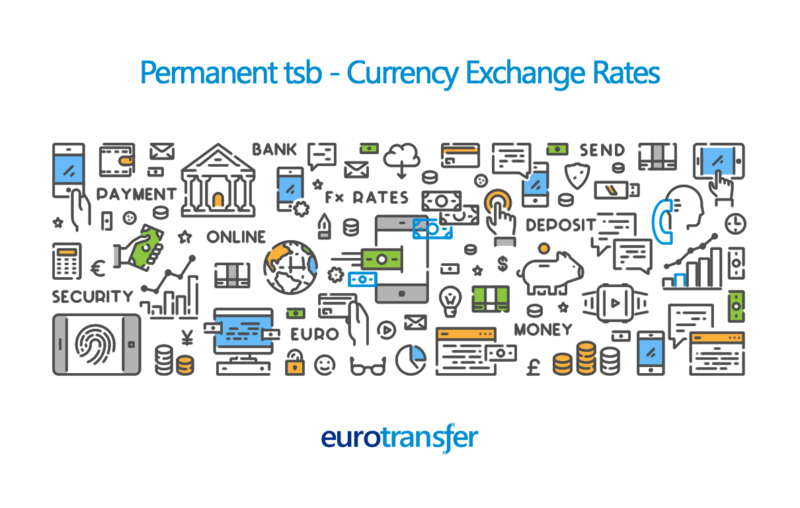 Share the post "Permanent tsb"
Compare foreign exchange rates when transferring money to or from your Permanent tsb euro bank account to UK pounds, US dollars or other popular currencies.